Club Africain have claimed their first Tunisian league title in 12 years with a 2-1 win over the already relegated Esperance Zarzis. Thursday's result means that Club Africain finish two points clear of defending champions Etoile du Sahel. 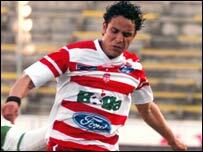 Club Africain, who have now won 10 titles, came from behind to score a 76th minute winner through Youssef El Mouihbi. The victory lifted them to 63 points as the Tunis-based club calimed its first title since 1996. African Champions League winners Etoile du Sahel beat Esperance 1-0 to finish with 61 points, Esperance were third with 46 points.